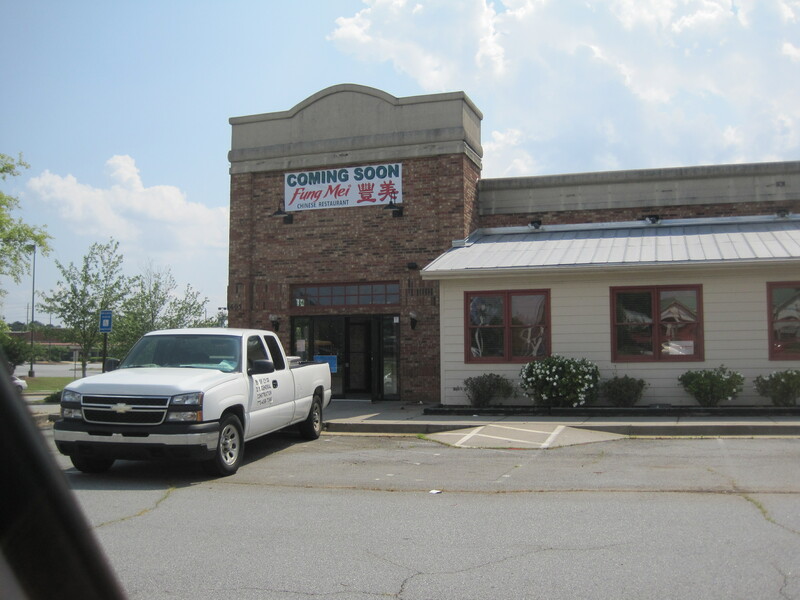 Mei Garden is at the corner of Lawrenceville Highway and Bethesda Church Road, in a strip mall that used to contain a Publix and is now half empty. It’s snuck up the UrbanSpoon charts, ranking 10th in Lawrenceville as I write, largely through word-of-mouth approvals and no media attention that I can see. I’ve been wanting to get back into some kinds of Chinese food, but diabetes makes Chinese about as tricky a cuisine as I can try to eat. All the sauces with sugars make it far harder than, say, a steakhouse, with steaks pan grilled in butter, and a veggie on the side. I had heard though, that black bean sauces weren’t bad for diabetics, and conversations with Chloe Morris, of Chow Down Atlanta, seemed to confirm that. So as Memorial Day approached, I wanted to try Chinese. Mei Garden, being in the area and reputable, seemed appropriate. Problem is that black bean dishes tend not to be found in Americanized Chinese, and Mei’s menu is clearly aimed at the “fast lunch” and take home crowd. 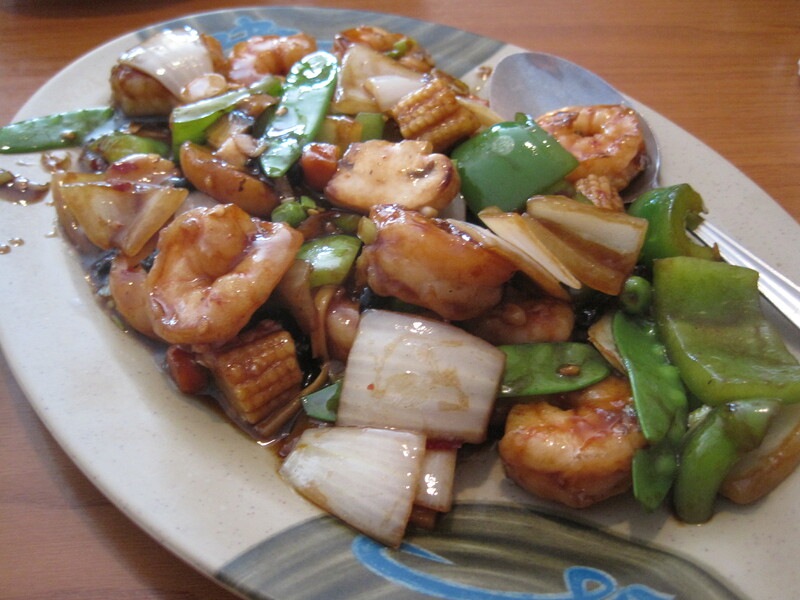 But it’s more versatile than some, and lo and behold, they had shrimp with black bean sauce. So we were in business. I took my daughter, as my wife was still at work this day. It’s a generic strip mall store front, to the right of the empty space that used to house Publix. The inside is small, perhaps 7-10 tables total, and a little cramped. 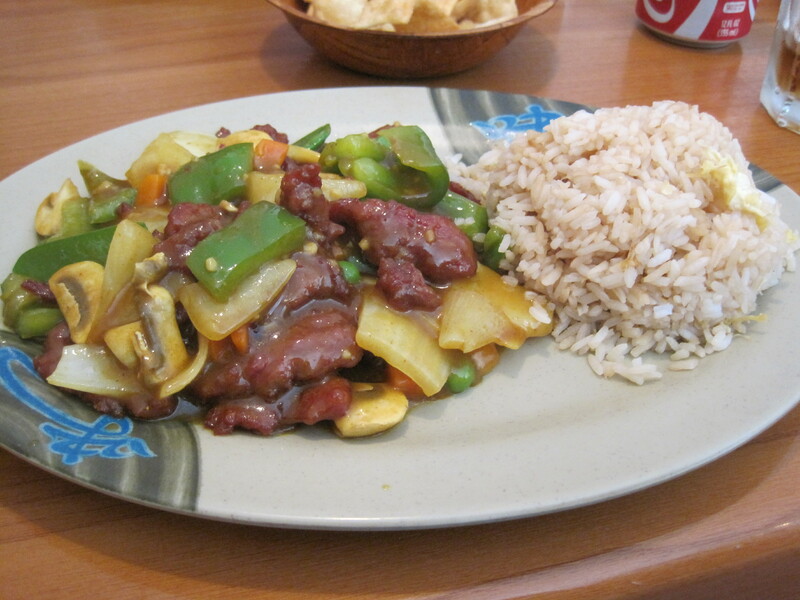 I ordered shrimp with black bean sauce, and my daughter, in homage to her cousin, ordered a curried beef dish. She was asked if she wanted a “combo” and she said yes. First thing to arrive were the combo extras for my daughter. 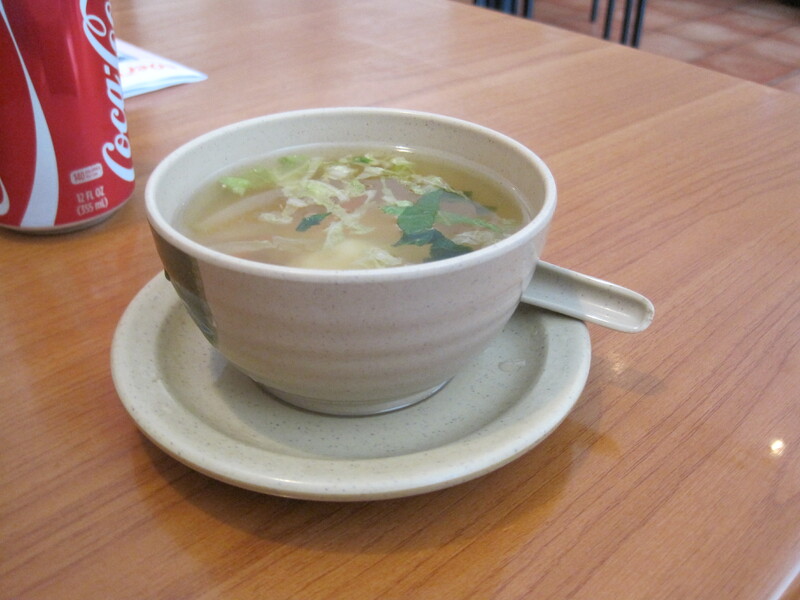 Those included a decent bowl of wonton soup and also a small spring roll and a fried chicken wing. I peeled off most of the fried outer layer and took a bite of the chicken. Pretty good, actually. When the entrées arrived, mine was a dinner portion so larger than my daughter’s food. Her dish came with fried rice on the side, mine came with a pretty large bowl of steamed rice. I counted about 12 medium sized shrimp in the dish. I can’t eat a lot of meat at one sitting so that was ample for me. I thought my dish was good and subtle. What rice I could eat I poured into my plate, to get the last of the black bean sauce, which was quite tasty. My daughter liked her dish but wasn’t overwhelmed with it. If I had to rate the food overall, it would come in as a cut above standard strip mall Chinese. It’s not that far from my house and so would be on my radar if I were shopping in the area. Staff, though often seeming pretty quiet, were pretty observant, and to the point. Service overall was good. Verdict: Well earned reputation for pretty good Chinese food. Recommended. Pastured meats, pastured eggs — where can you find them? One of the emphases of Michael Pollan’s book “In Defense of Food” was on unprocessed foods. The reason for this are the as-yet unknown factors in the Western diet that lead to the various diseases of modern civilization. As I suffer, after one fashion or another, from most of those diseases I’m interested in delaying or halting those problems myself. One of the things I’ve been trying to do is locate suppliers of grass fed meats, milk, eggs, butter and cheese. One resource that Michael Pollan recommended is the “Eat Wild” site. This is a good site, which has a page on which you can find Georgia farms that sell their products into the local markets. Using the map, you can find, for example, Country Gardens Farms and Nursery in Newnan, GA. 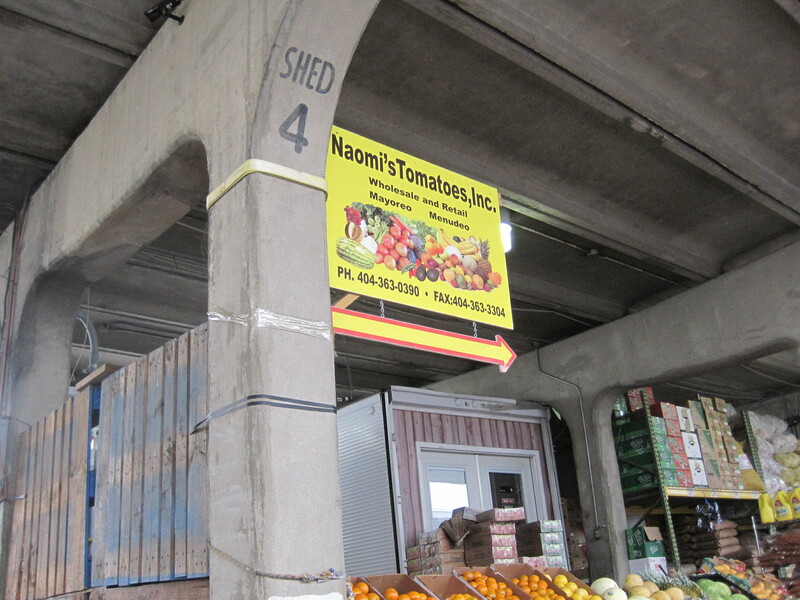 This farm will take orders to be delivered to the Peachtree Road Farmer’s Market (open on Saturdays). Their prices are competitive, and the farm is nearby. 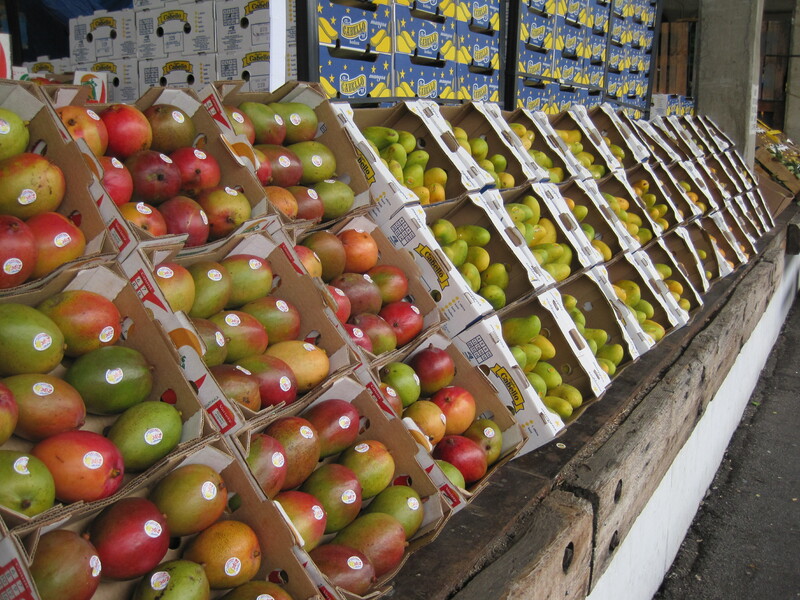 It isn’t just nearby farms that affect the availability of produce in the Atlanta area. South of Atlanta proper and close to the Alabama border is White Oak Pastures, of Bluffton GA. White Oak sells grass fed ground beef to Whole Foods and also to Publix. I haven’t seen the beef at Whole Foods, and I haven’t seen it at any Publix in Snellville. I have seen it at the Publix in the Prado, in Sandy Springs GA. Cost for a pound of White Oak ground beef there is $7.00 a pound. Correction: I’ve found two kinds of grass fed beef at the Publix on the corner of Ronald Reagan and 124, in Snellville. 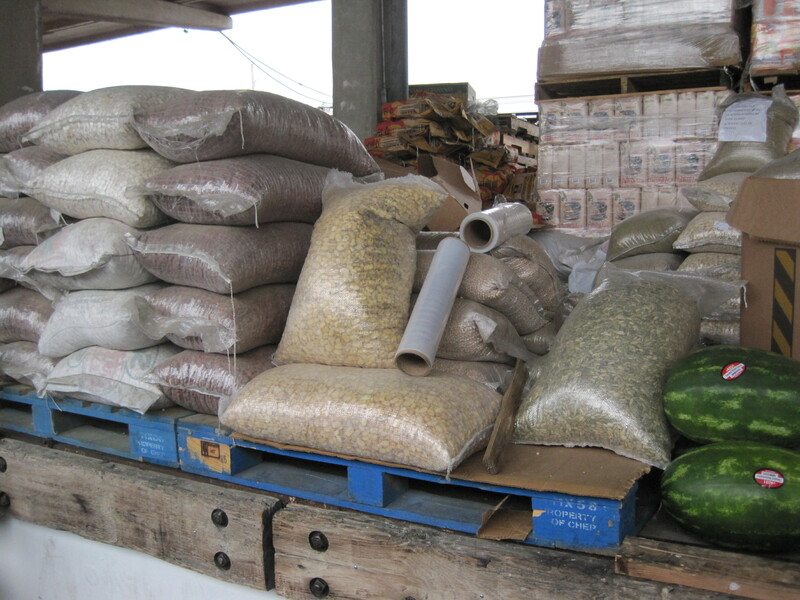 This lack of product also affects suppliers such as Organic Valley. If you look them up, they supposedly supply Publix too, but typically the closest I can get to their pastured eggs and pastured butter are Organic Valley organic egg whites. Availability just isn’t there. To note, the Eat Wild site thinks highly of Kerrygold butter (Irish cows evidently are largely grass fed). Kerrygold butter can be found in most Publix supermarkets. Presumably, the same benefits apply to the Kerrygold cheeses as well. For those of us in Snellville, the upcoming Snellville Farmer’s Market will offer some access to a good local farm. On the Eat Wild map, there are five push pins west of Atlanta. The third of these, smack in the middle of the group of five, is Nature’s Harmony Farm in Elberton GA. They sell grass fed beef, chickens, and eggs. If you look in the right place on their web site, you can see that they plan to attend the Snellville market on the first and third Saturdays of the month. Interesting online suppliers of grass fed beef include Hearst Ranch and Slanker’s Grass Fed Meats. Heart is a little more conservative while I find Slanker’s to be entertaining in their zeal. Slanker’s though, has some real cooking tips and therefore worth a browse. For those wanting a boonie pepper update: my one living plant is in good shape, the rest didn’t survive the winter and my illnesses. 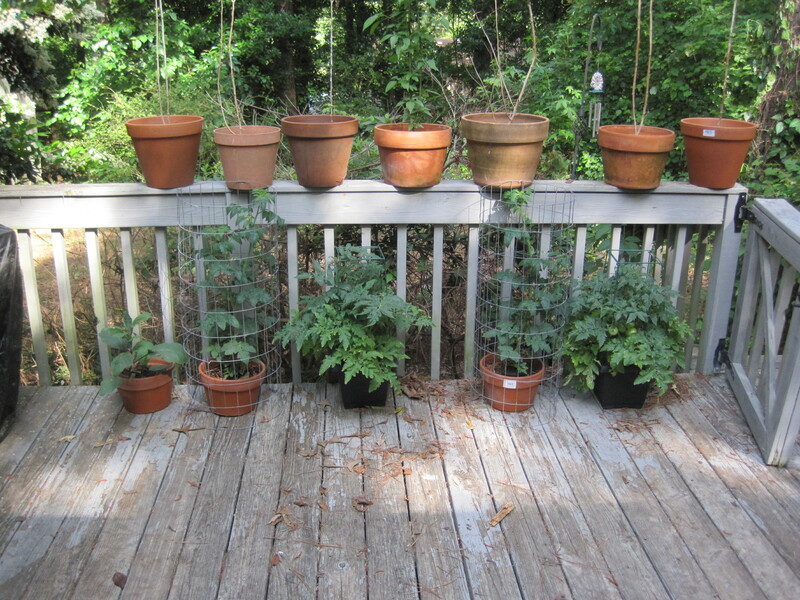 I’ve had far better luck with potted tomatoes and one pair now requires a cylinder of rabbit wire to stand upright. On Pleasant Hill, in the location of the old Corky’s, a new Chinese restaurant is being constructed. It would be nice to have some of the empty restaurants in that area of Pleasant Hill occupied. I went to the doctor and my hemoglobin A1C was 5.3%. I’ve seen people get lower A1C six months after diagnosis, but not at three months. My doctor is cutting the dose of my cholesterol meds in half, and also my diabetes medications as well. We’ll see how that goes. I’d rather have good numbers than be totally med free and have mediocre blood glucose numbers. The pants I bought less than a month ago are getting large on me. A quick trip to the U.S.S. 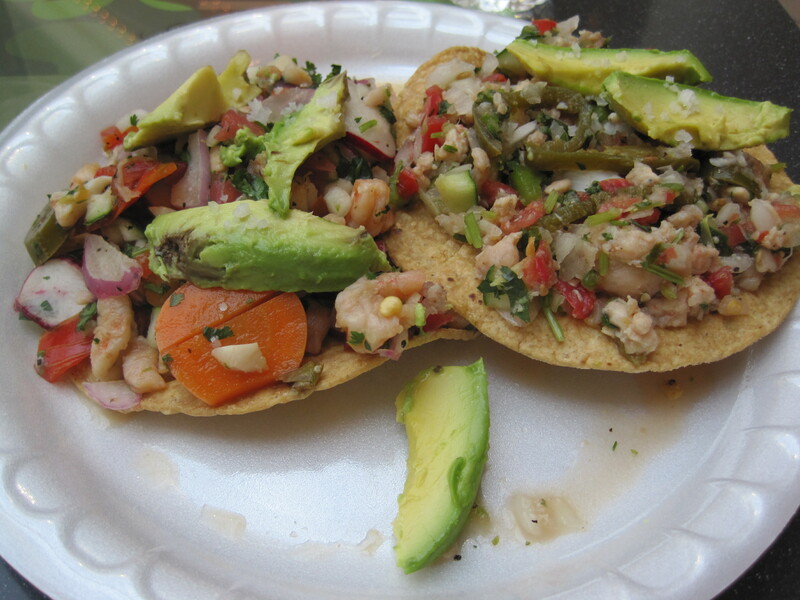 Vallarta, a seafood stall in the GP Mall Food court, rounded up these ceviche tostadas. I thought they were pretty good, myself. 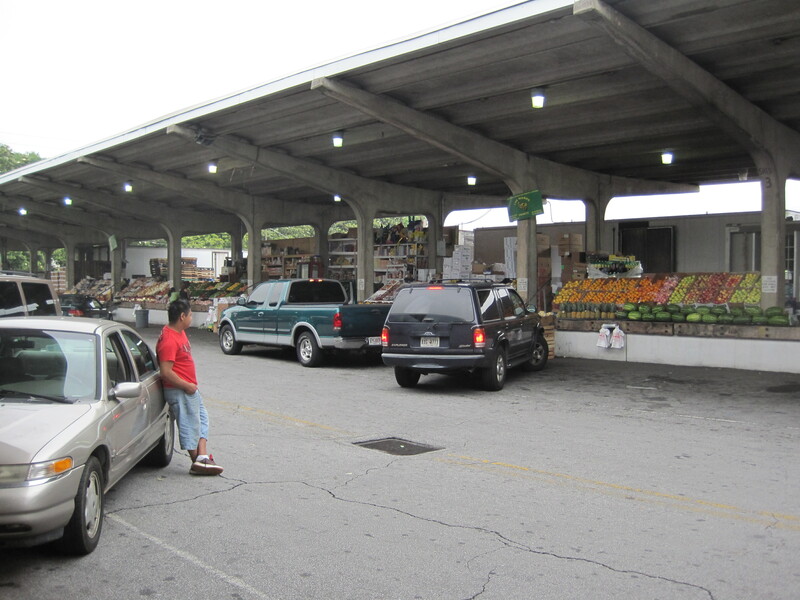 The Atlanta State Farmer’s Market occupies 150 acres, carved out of a wholesale district and wholesale shipping zones for trucks, and will never be mistaken for the foot-only traffic of the markets Tony Bourdain and Andrew Zimmern prowl in Southeast Asia (or for that matter, the foot-only traffic of The Flea). 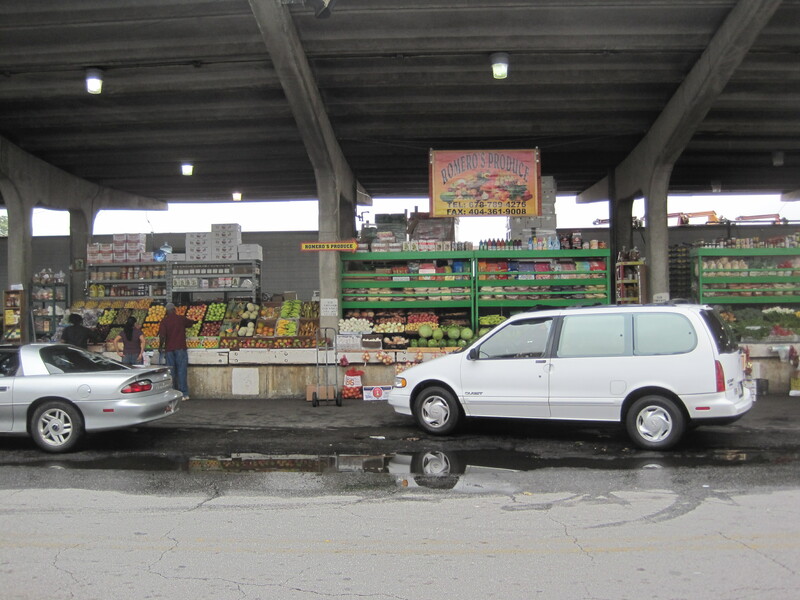 Cars drive right up to the shops they like and produce is offloaded directly into vans and the trunks of cars and trucks. After watching this behavior a while, my wife said, “It wasn’t anything like I expected it to be.” I’m sure she was expecting something more friendly to pedestrians. 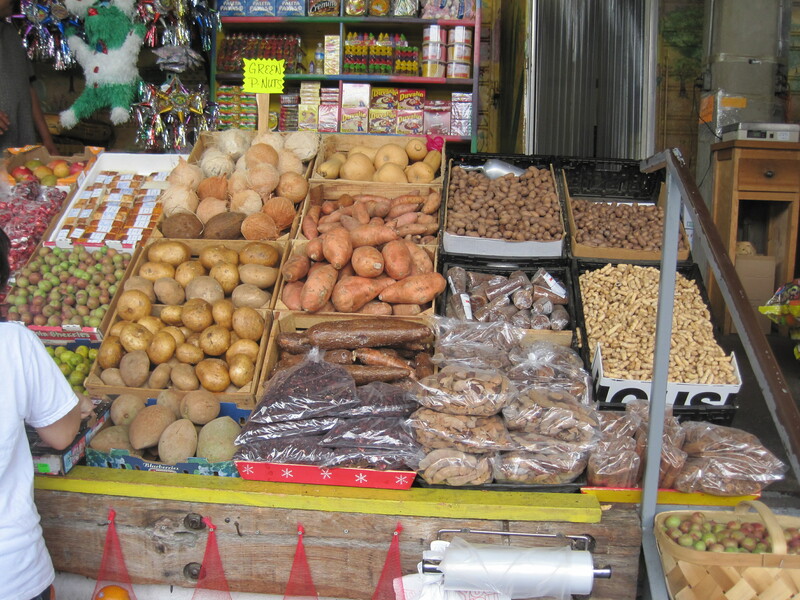 A lot of the shops do not sell in small quantities. 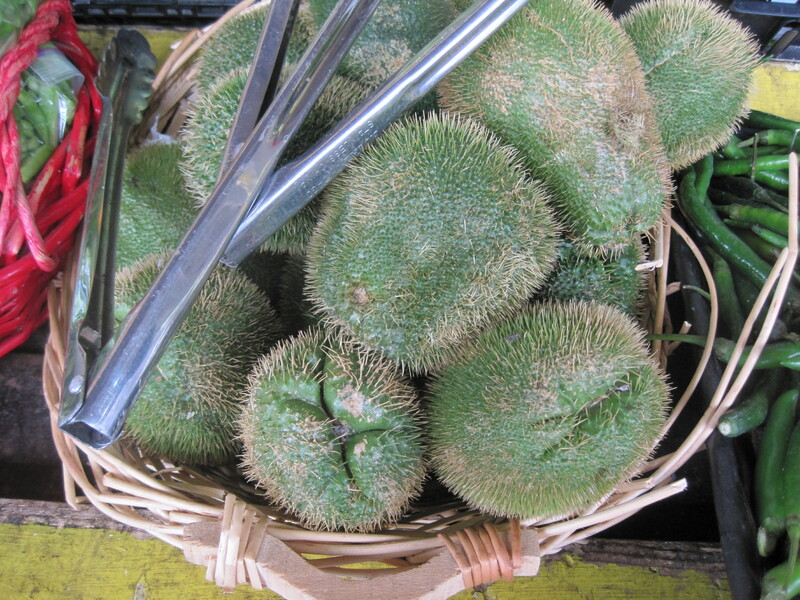 They want to sell a basket or a bushel, minimum. So it’s not a particularly good market for singles, small families, or someone on a budget. It is however, an eyeful, and worth a look if you’ve never been. Korean tofu houses are very diet friendly, and Book Chang Dong Tofu House is no exception. The soups are largely meats, tofu, and vegetables. Banchan are largely (though not completely) free of sugars and starch. Starch is usually supplied through a bowl of rice. Much like a steak house, this separation of components of the meal makes it easy to eat and manage. This freedom, coupled with some intriguing “likes it” votes on Urban Spoon, led me to go with my daughter to Book Chang Dong Tofu House recently. It’s in the Super H plaza in Duluth, on the left hand side of the ‘C’ shaped complex, as you’re facing Super H from Pleasant Hill Road. It’s good looking but unobtrusive. 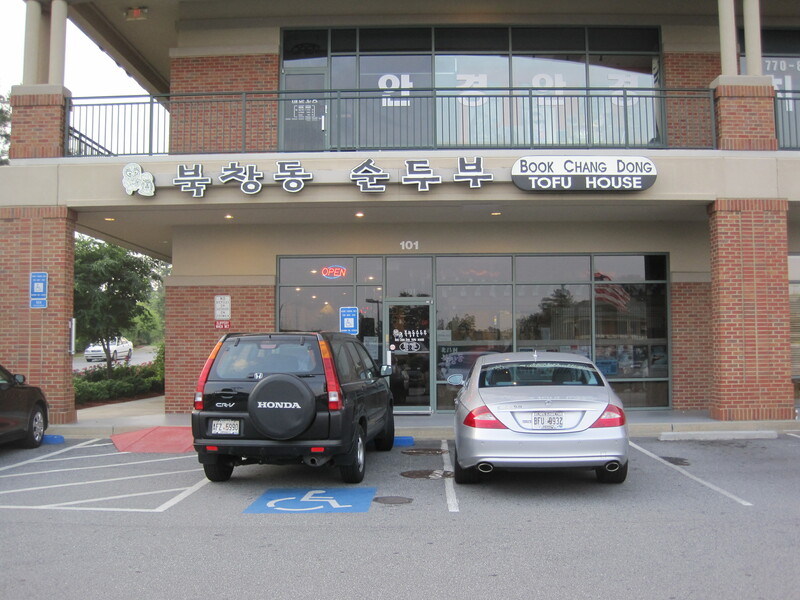 You have to get pretty close to the restaurant to read the little English sign to the right of the main sign, in Korean. Inside, a lot of wood. 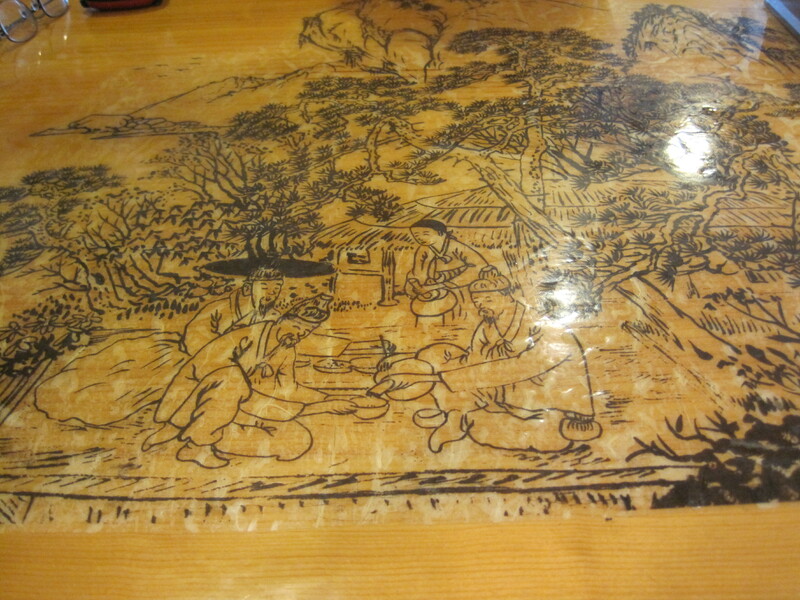 Tables have pretty wooden carvings, reminiscent of Japanese woodblock paintings. The tables have buzzers to call staff, and a glass topped box with metal spoons and chopsticks. The crowd is overwhelmingly Korean. 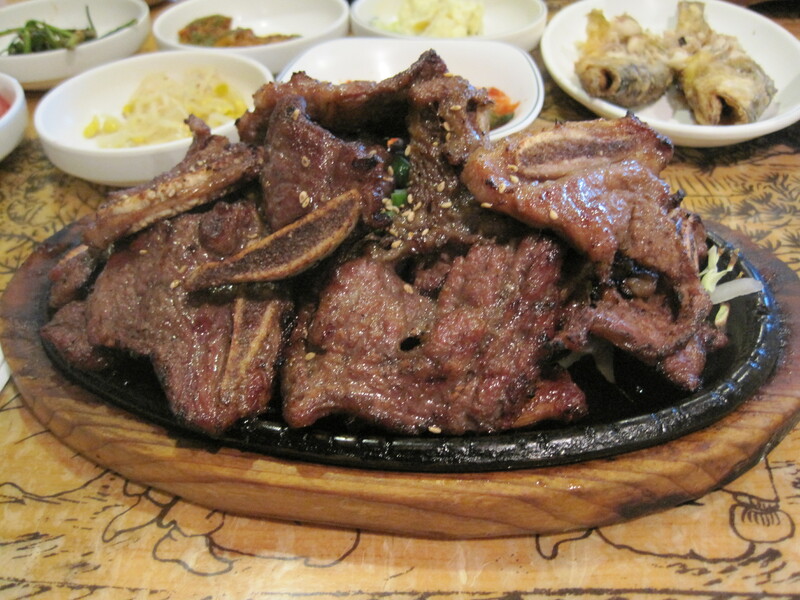 My daughter wasn’t in the mood for a soup, so she ended up getting spare ribs, or galbi. 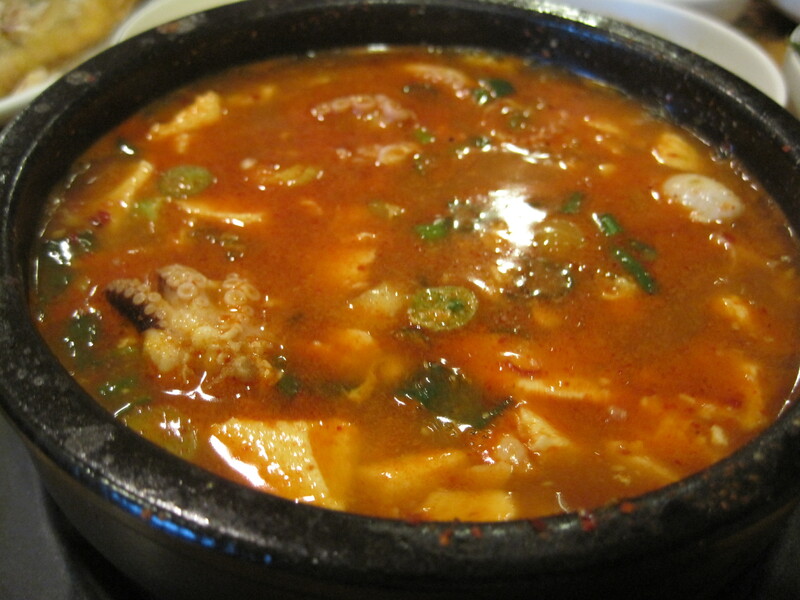 They had a special on baby octopus tofu soup, so that’s what I got. 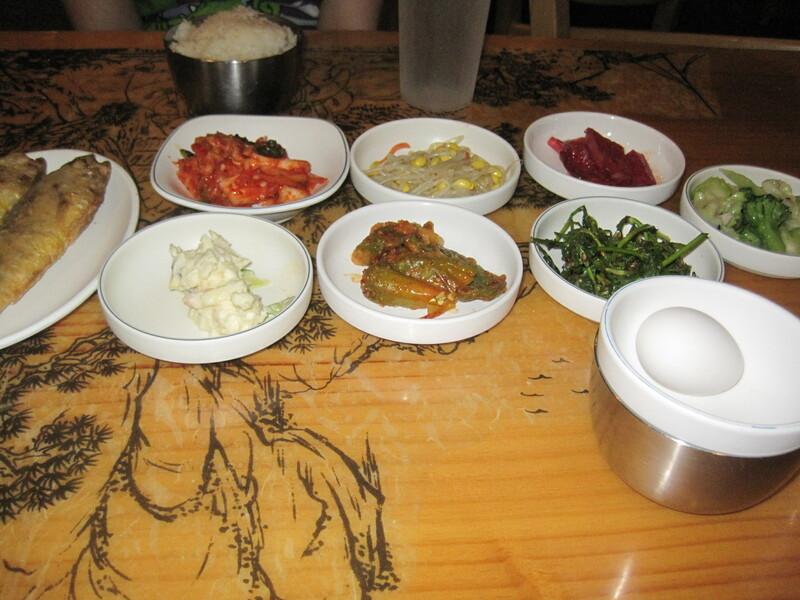 The banchan (side dishes) here include a small fish. The banchan all were good to us. Service was very good, and the staff are very attentive to their customers. My daughter liked her meat. The galbi wasn’t spicy, though she asked for it to be. I suspect if we were to become regular customers, she could get her food spiced the way she liked it. As for me, being able to eat the whole of my meal without worries was a delight. The creaminess of the tofu meshed well with the chewiness of the octopus, and the modest heat of the soup enhanced the mix of silky tofu and seafood. Verdict: Fine place to get tofu soups, good service. Highly recommended. 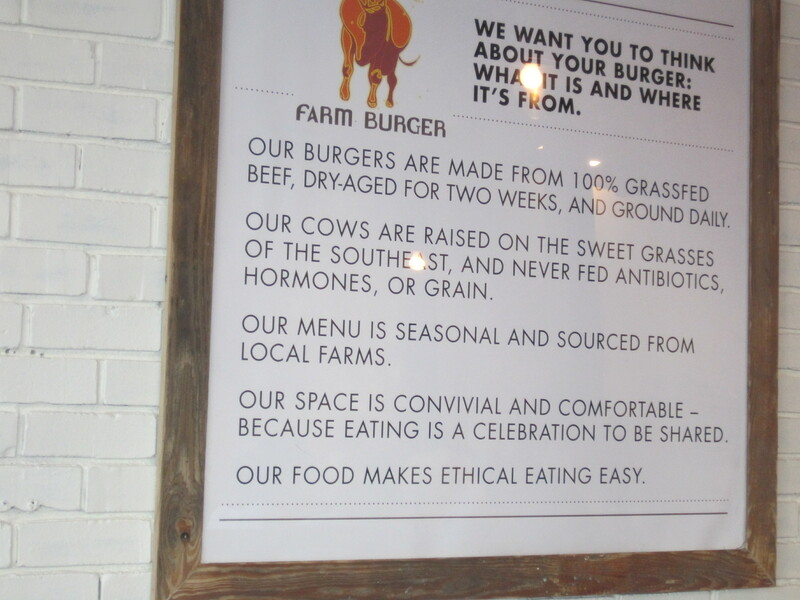 Farm Burger’s motto appears to be simplicity. Take a good idea, and execute. Ignore the frills, go for the gusto. 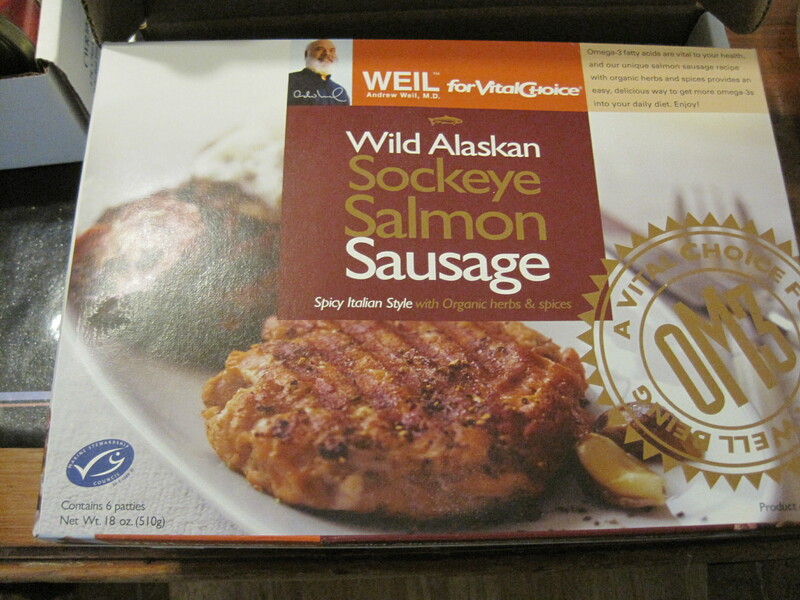 In this case the driving force is well sourced meat, locally grown, featuring as little processing as possible. The virtues of grass fed beef are becoming better known: cows fed a diet of corn have a relatively poor fat and nutrient profile, heavy in omega-6 fatty acids. Cows feed grass have a more diverse fat and nutrient profile. The butter in particular from pastured animals is superior. 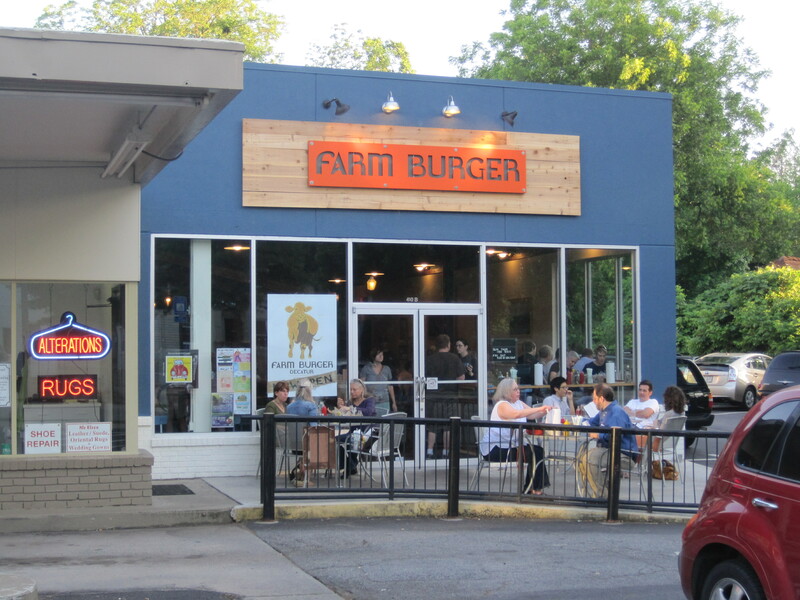 Farm Burger is also a popular place (reviews here, here, here, here, here, here, and here), but for once, it’s a popular place within reasonable reach of Snellville. Of course, the mainstream critics and a whole 80 readers (in a greater metropolitan area of 5.5 million) are already bored of the phenomenon, of actually being forced to eat a locally sourced burger. Must be a hard life, being forced to eat excellent, healthy food. I’ve been trying to go there a while, to get my family to go, but my wife has had a lingering illness for weeks. This time I had missed a meal to give blood to the physicians, was running low on calories and needing to eat. So of course the most sane solution was to dive down Clairmont Road and head into Decatur, and fix this hunger of mine. Farm Burger is housed in the same building as Watershed, carved out of the same former gas station. I’d been to Watershed, and so this restaurant was going to be easy to find. Of course, the parking lot was packed. On a side street a couple blocks away, I found parking, and walked to the eatery. Inside, there is a lot of wood, a lot of blue steel chairs, and a line in which you make your order. Seating is along the edge of the restaurant. There are numbered burgers and build your own. There seems to be a train of thought (Cliff Bostock, iirc) that a burger as subtle as this one shouldn’t be drowned in rich tasting extras. That was certainly also my approach when I bought a burger. 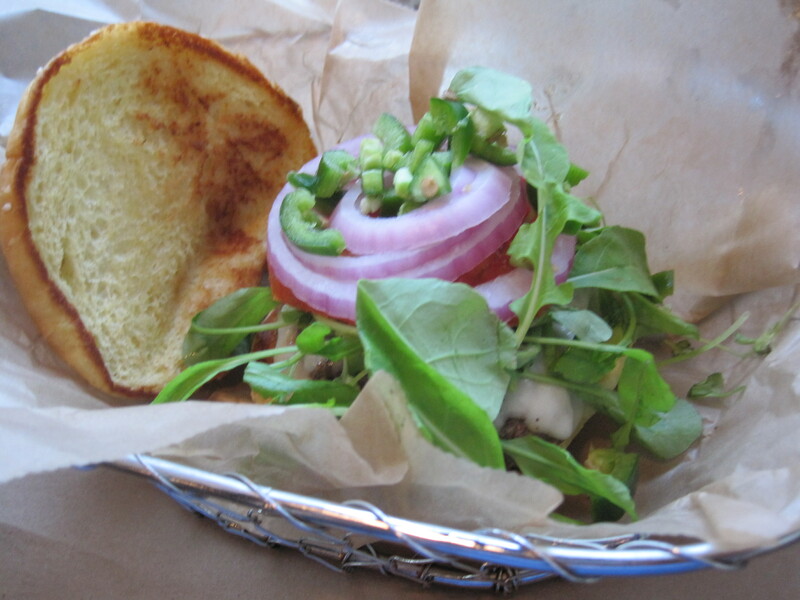 Arugula, tomato, red onion, some jalapenos, a slice of swiss. I bought the large salad, a bit expensive at $7.00 but more accessible to a diabetic than fries. I’m given a glass, I find a place to sit. No water, so I head up to the drinks and they’re taking away the water container. No problem, I’m told. “We’ll get you a bottle, take it to your table.” It wasn’t soon before I had this oversized milk bottle full of H2O. Yes, very impressed. Soon after the salad and the burger came. The burger was mostly pink inside. I’d call it medium more than anything else. The texture of the meat was surprisingly smooth, almost creamy. I’d compare it to the Kobe burger at Summit’s, but it didn’t achieve this texture through huge amounts of fat. I suspect it’s the effect of being freshly ground. The effect is subtle, and those critics that said “don’t drown this burger in too much stuff” are dead on. 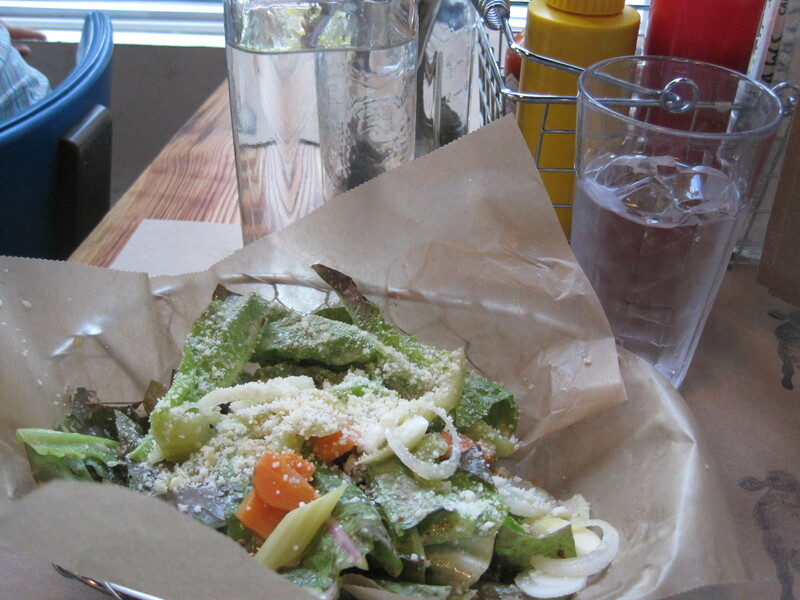 The salad was tender, at least 2 cups of greens, and pretty well covered in a dressing with bits of cheese in it. There were bits of onion, carrot and celery in it, and at least one garlic clove. Other notes: I asked about the size of the burger and the amount of fat in it. I was told the burger was between 5.6 and 5.8 ounces in weight, and over 93% fat free. Verdict: No frills. Excellent burger. Diabetic friendly. Staff rocks. Highly recommended. 4108 W. Ponce de Leon Ave. 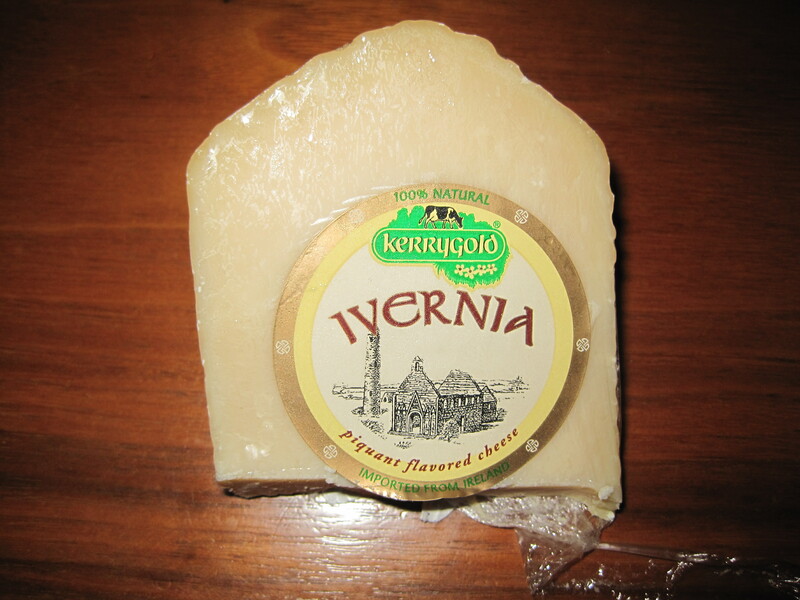 Ran into this Kerrygold product in a Whole Foods, and wanting something new, picked up this cheese. I’ve had really good luck with Kerrygold’s Dubliner cheese, so wanted to give this a try. It’s very rich in flavor, with overtones of salt and cream. It lacks the nuttiness that marks Dubliner in favor of a lingering cheesy aftertaste. Others have compared it to Parmigiana-Reggiano in terms of character and smell. In terms of cost, at about 12 dollars a pound, it’s cheaper than Dubliner on an ounce by ounce basis, and considerably cheaper than a good Parmesan. In any event, it’s a good harder cheese, well worth adding to your pantry.